One of six giant World War 1 display boards at the Weardale Museum pays tribute to all of the soldiers from Weardale who died in the Great War. There are also stories from up and down the Dale of life in the trenches, postcards and letters home, life on the home front, and verses from our own war poet, William Parker. 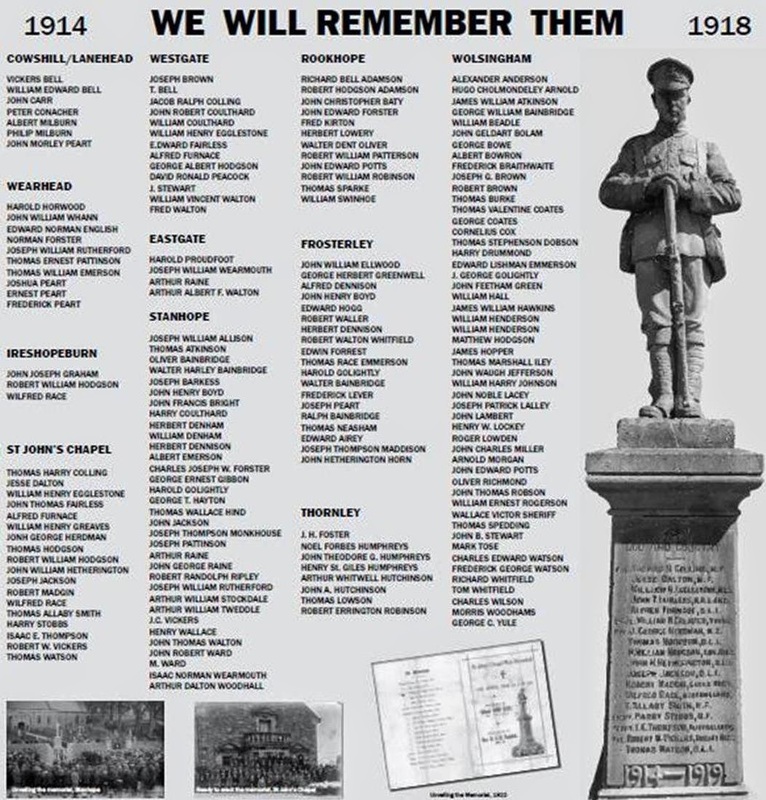 We have accumulated records for soldiers on each of the memorials with images and stories about some of them and we are interested to add other stories to create a permanent record. Please pay a visit to the Museum to see our exhibition, you will be made very welcome. Open 2pm – 5pm Wednesday-Sunday until the end of October.